Gauge 27 stitches, 36 rows to 10 cm/4"
Have you ever dreamt of plenty quantities of cotton that does not end right in the middle of your work? If you crochet or knit a lot, you probably know that you just use large quantities of some colors. 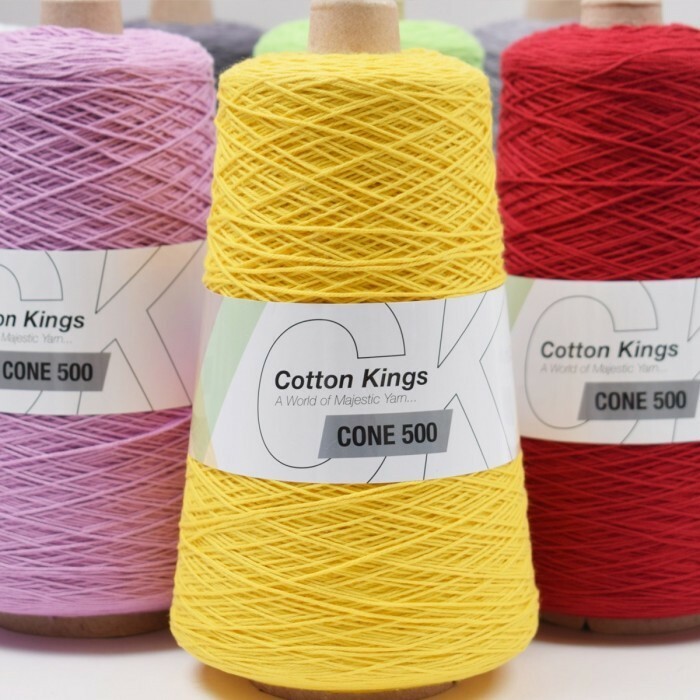 Meet Cotton Kings CONE 500 – a wonderful tower of amazing, durable and soft cotton in a classic 4 ply. Here you get a total of 1859 yards (1700 m) of really great cotton which 99% of the time is knot-free. Your cone works best if placed on the floor e.g. in a yarn bowl where it will stay put while it supplies you with yard after yard of wonderful cotton. At the same time, start getting excited about not having to weave in a lot of ends when your pretty project is done. Just to compare, one cone equals 10 skeins of “normal” 1.8 oz. (50 g) skeins in which case you would often have to change skein and weave in a lot of ends in order to use the same amount of yarn. 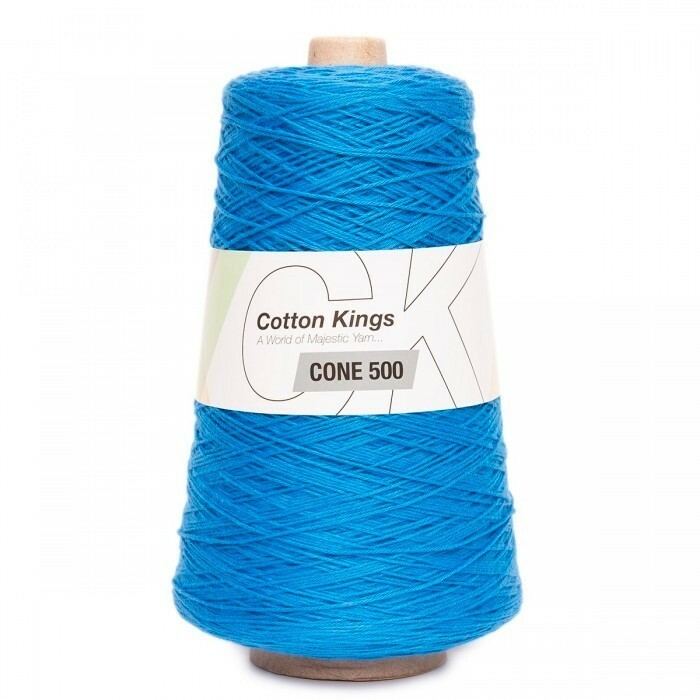 Cone 500 can be combined with a lot of other 4-ply yarns such as Cotton Kings 8/4 Print, Cotton Kings 8/4 pull Skein or Rainbow 8/4. Use it e.g. for interior items such as cotton blankets for the Summer house, cloths, guest towels or crocheted creatures. The good quality is also great for clothing. Take a look at our large collection of free patterns right here on our site. We wish you a good, looooong creative project! 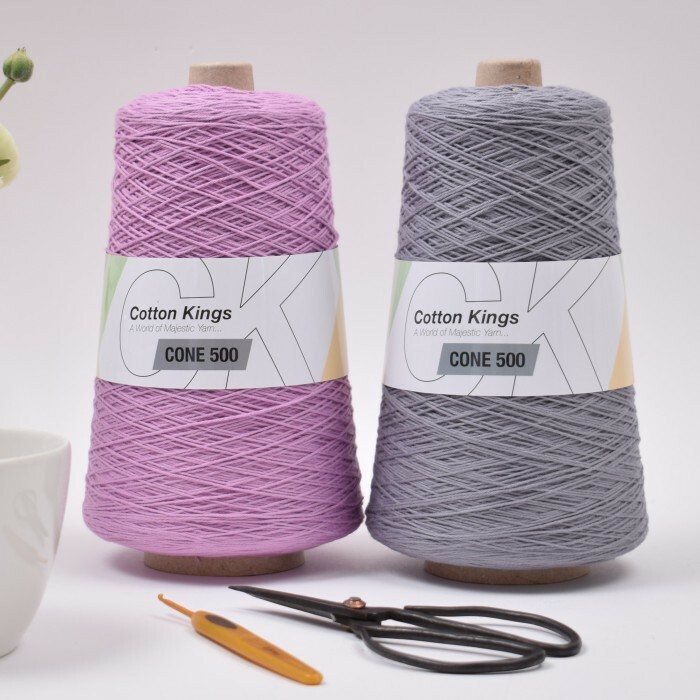 Beautiful soft smooth cotton that crochets like a dream. Colour is the same as shown on the website unlike many other yarns I've ordered. I can't wait for the other colours to come back into stock. I shall definately be ordering more when it does. Hobbi is excellent keeping you updated for delivery. What a breath of fresh air this company is!